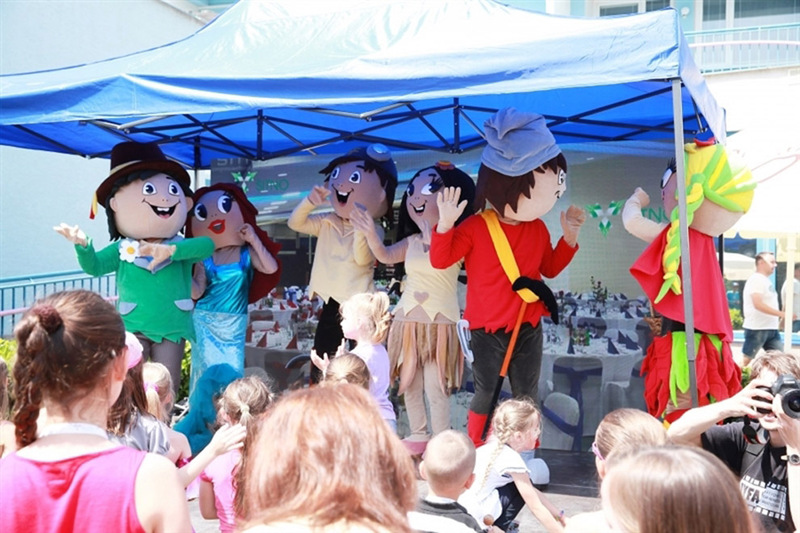 Hotel Senec is a popular family vacation destination year-round. 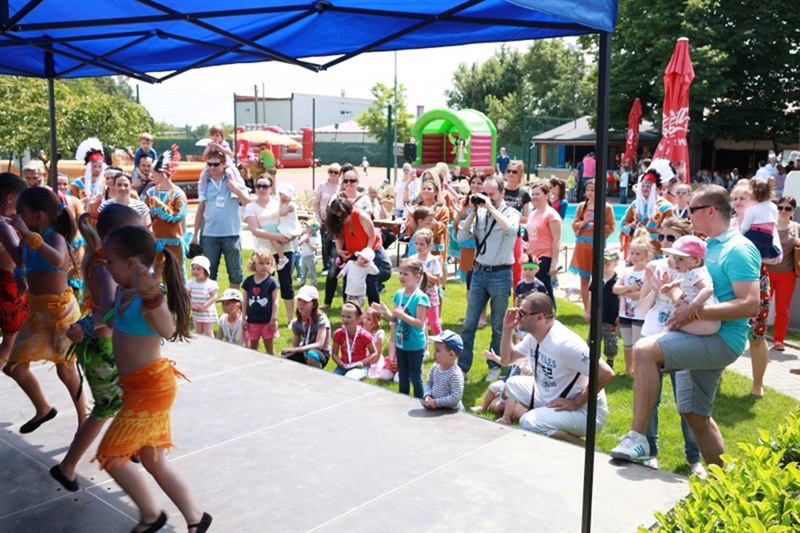 Those young and old are sure to enjoy the attractive sports facilities. 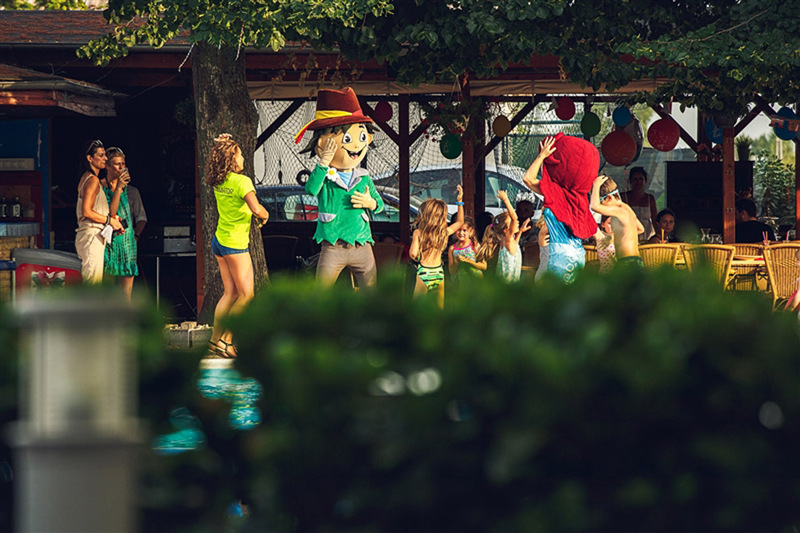 Play tennis, bowling, squash, beach volleyball, petanque, royal chess, miniature golf, table tennis, table football, billiards, electronic darts and swim in the pools. 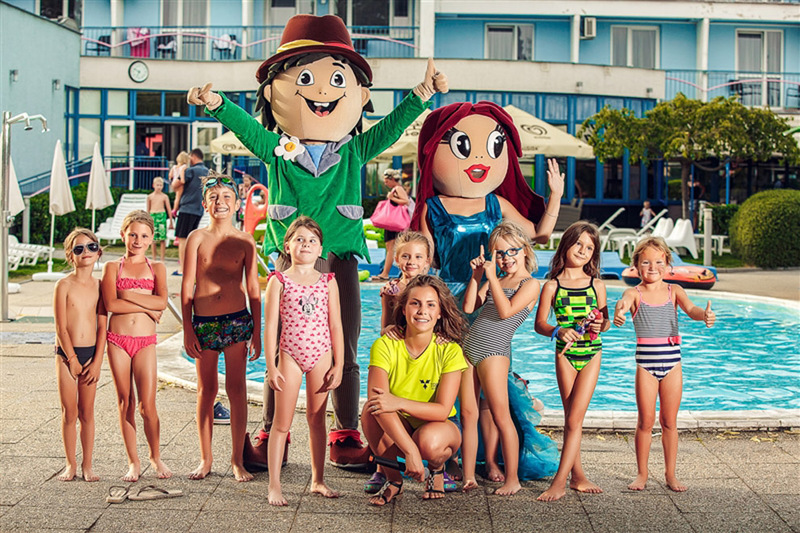 Your children will be taken care of by the animators in the children’s activity area together with the hotel’s mascots, Senec’s water sprite Člupka and his friend Vlnky. 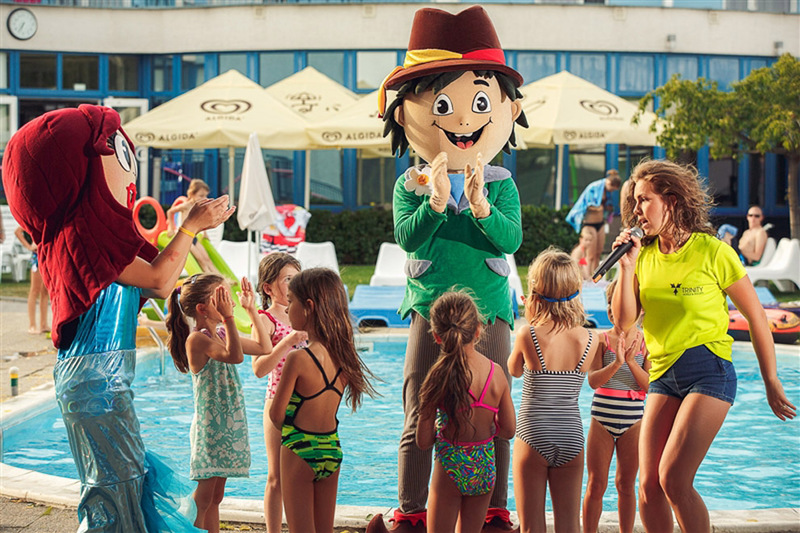 Člupka is an irrepressible joker who likes to have fun and practical jokes are part of his day-to-day routine; he loves the water and likes to play. He can swim clear across the Senec sea and back and can dive to the deepest depths thanks to his miraculous fins that give him this unique ability. 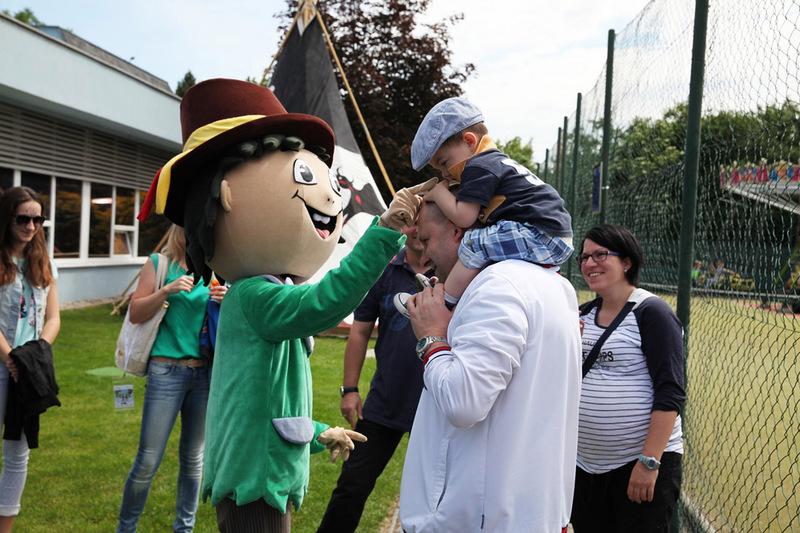 He recently found a new friend, Vlnky, who is just as much of a joker as Člupka, which is why they get along so famously. 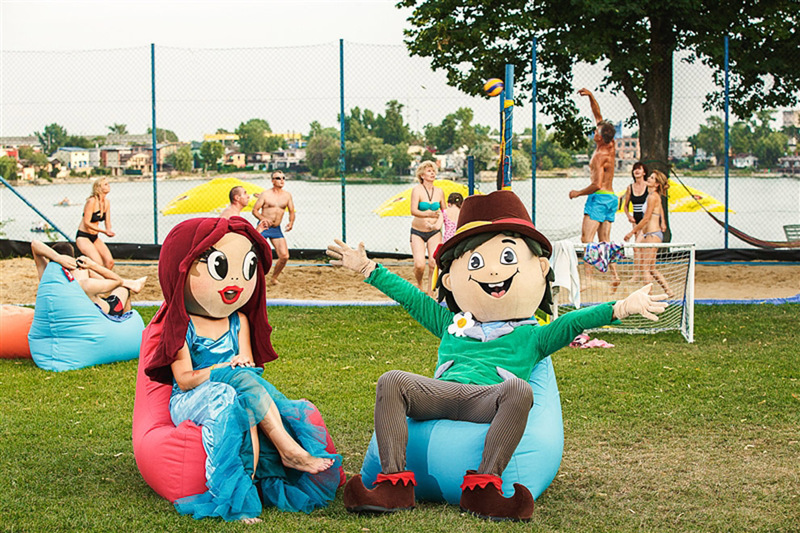 Člupka and Vlnky are around to watch children during the summer months and teach them to swim, entertaining them on the Senec lake side.